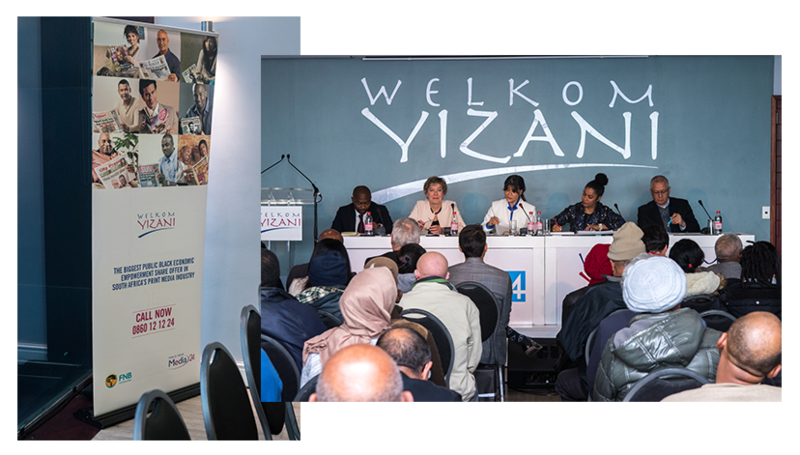 Welkom Yizani is the biggest black economic empowerment (BEE) share offer in the print media industry in South Africa. When the share offer was launched in September 2006, it was three times subscribed with approximately 107 000 applications received for 14,6 million Welkom Yizani ordinary shares. As a general rule, applicants who applied for more than 430 Welkom Yizani ordinary shares received at least 430 Welkom Yizani ordinary shares, with 85% of the applicants receiving the full number of shares they applied for. These South Africans are now Welkom Yizani shareholders who own a 15% stake in Media24 Holdings. Call 0860 12 12 24 for more information. Click here for access to the Welkom Yizani trading platform.